The thousands of Louisiana residents denied Restore Louisiana awards because of the Duplication of Benefits provision received an early Christmas gift in October when the House and Senate struck down the measure. The unsigned waiver for the release of $230 million in benefits, disbursed by Restore Louisiana from the Department of Housing and Urban Development, may hold up the return home even more for victims of natural disasters in the parishes that received national disaster declarations in 2016. The stalemate was supposed to have ended with the vote on the issue, which has officially become law. But the unsigned waiver will likely delay the award distributions for an indefinite amount of time. Blame it on bureaucracy and politics. The mighty D.C. machine powered by government agencies and career bureaucrats has put the issue back on hold, largely because some agencies question the need for a waiver to distribute the funds. It’s hard to trust such rhetoric, largely because of the sea of fine print that the best D.C. lawyers can possibly use to strike down the entire funding distribution. Who can blame Gov. John Bel Edwards for his reluctance to give the Office of Community Development the go-ahead to release the funds? It’s unfortunate for residents to wait longer, but it’s understandable why he wants the waiver signed before the state doles out the money. Imagine if the D.C. bureaucracy would exploit a small loophole and demand the state return the $230 million after it reached homeowners. Better safe than sorry, we suppose. The victims of natural disasters in Livingston Parish and throughout Louisiana have waited long enough for the help to return to their homes. The Louisiana delegation in Washington, D.C., was led to believe the funds could start reaching homeowners the week after Thanksgiving. Judging from the snail-like pace by which government operates, the displaced residents will not be home for Christmas. The whole situation plays out like stealing toys from children on Christmas morning. 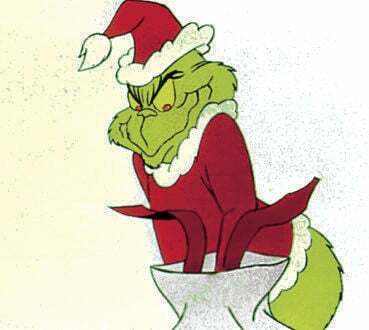 Forget the latest film version of “The Grinch;” this time, the real “Grinch” is played by bureaucrats in Washington. Check out these Livingston Parish headlines from November 29, 2018!